When's the wedding, Nintendo and Microsoft? Earlier today, Game Informer had an interview with a number of people involved with bringing Cuphead to Switch, including co-creator Jared Moldenhauer. When the question was asked as to who exactly prompted the project to take form, Moldenhauer remained silent while Nintendo's Kirk Scott said he didn't know how it happened. It seemed like everyone was being a bit coy about the situation, but now we have a bit of insight that makes things more clear. According to Daniel Bloodworth at Easy Allies, Cuphead developer Studio MDHR told Mr. Bloodworth that it was Microsoft who approached them to ask if they'd be interested in a port to Switch. That definitely gives us some more insight, but it doesn't answer the full question. Did Microsoft come up with the idea and pitch it to Nintendo, or did Nintendo ask Microsoft, and then Microsoft took the idea to Studio MDHR? What wedding? Does Sony get a wedding too because Castle Crashers is coming to PS4? ...not even nearly the same thing? And Castle Crashers came to PS3 so not sure where you’re even drawing the comparison? That was the original version in 2008; before being exclusive to XBOX and computer. Castle Crashers Remastered is the newer version. That was a timed exclusive. 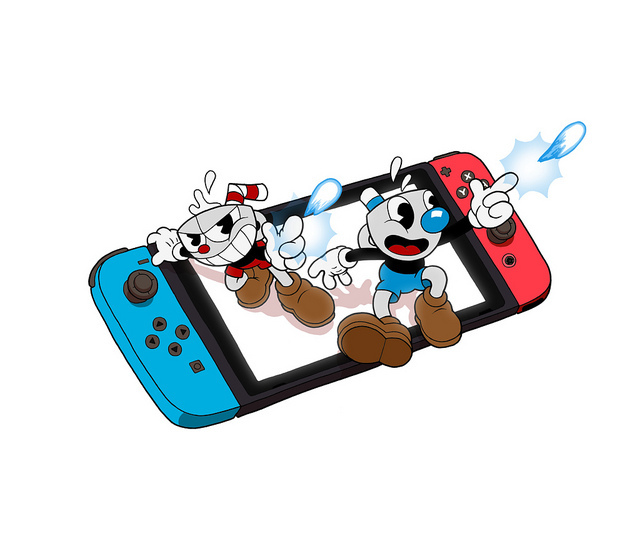 Cuphead was 100% exclusive to Microsoft until they decided to let it on Switch. I guarantee if Microsoft had the say on where Castle Crashers could go back in the day they wouldn’t have let it on PS3. It&apos;s not a real.wedding. It&apos;s just a metaphor, silly rabbit.